Newton's method uses an initial value and the recursion to find roots of the equation . 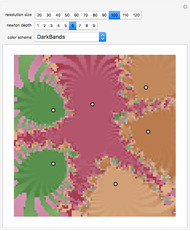 In the complex plane, equations with multiple roots show fractal behavior on grids of initial conditions. 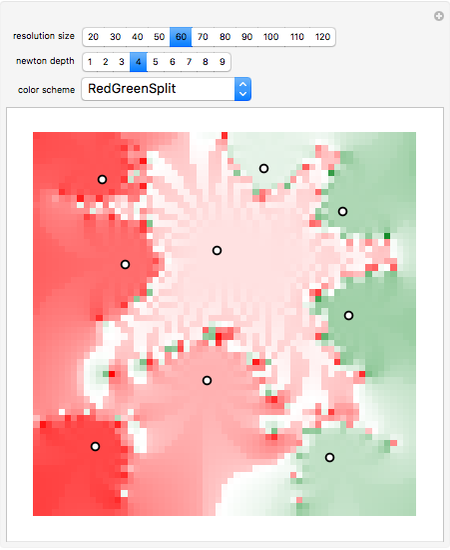 The Newton depth determines the number of recursions. In this Demonstration, the function is the polynomial based on complex numbers defined by the locators (there are four to start). 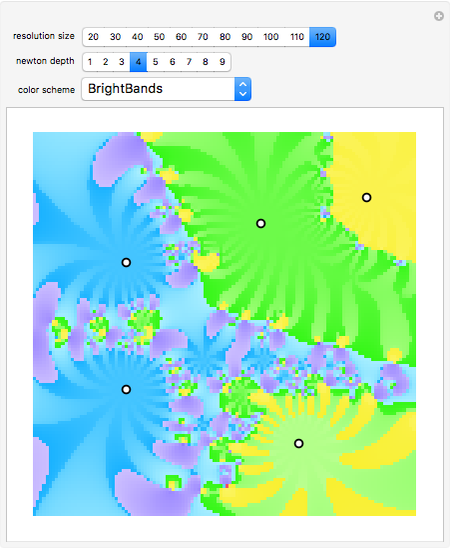 Under them is an grid based on the resolution size. The calculation of the highest resolution is 36 times slower than the lowest resolution. Ed Pegg Jr "Complex Newton Map"